A reader sent us this link today to a video he shot of Fort Lewis ground crews mowing in the snow. Enjoy. My Spring Break at Pierce College is just about up, and I have to return home in order to meet my classes. But before I leave Afghanistan and the 864th ECB (H) at FOB Sharana, I would like to say a few words about some of the soldiers I met and worked with. Col. Richard Stevens: OK, so he’s not from Fort Lewis. But he took the time to treat me as an equal; he reiterated a lot of what I learned on this assignment; he did not fear the fact that I am the press. I appreciate that, Sir. Thank you. Lt. Col. Mark Deschenes: He doesn’t say much, but when he does talk he can go on and on and on. But that’s not bad; he knows a helluva lot about what his soldiers are doing in Afghanistan. He’s a no nonsense kind of guy who gets the job done. 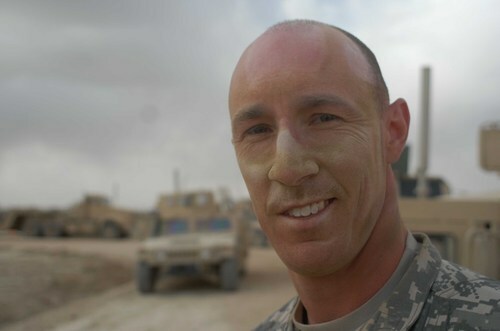 Moreover, many of the soldiers serving with him say he is the best commanding officer they have ever worked with. I agree. Maj. James DeLapp: I enjoyed talking with and listening to you. You are without a doubt one of the brightest guys I have run across in a long time. The battalion is well served by your presence. Thank you for everything; especially the use of the DSN line. Maj. Kenneth Frey: Allowing me access to the TOC and the information contained therein helped immensely in my understanding of the huge tasks the 864th confronts. Thank you for your trust in me; I wish it were like this at Fort Lewis. I will not forget your trust. Capt. Eric Parthemore: We only spoke for a moment or two while at FOB Kushamond, but I recall you saying that you’ve got some decisions to make. Good luck. You are a fine man soldier. Capt. Kenya Saenz: Thank you for all your work. Being a PAO is hard work, but I think you did a great job. Particularly when it came to getting the visa for Qatar. CSM Charles Turner: I was told (tongue in cheek, of course) never to quote you. Well, I am. Remember the talk you gave the soldiers at FOB Kushamond moments after the commander awarded some CABs and gave out some coins? Remember what you told the soldiers? You told them to not to become preoccupied on coming home; you told them to “sprint through to the finish line.” That’s good advice … coming from a damn fine sergeant major. Sgt. Donald Kenney: When you get back, I am going to attach a Radio Flyer wagon to the back of my car, tie you in the wagon and drive back and forth on the worst bit of road I can find. And when I am done, I will smile and say, “See. That’s what it’s like riding over unimproved roads in the back end of your MRAP.” All kidding aside, I appreciate what you did on that day to FOB Kushamond. Sgt. Justin Rook: You told me the 864th ECB (H) is the best engineer battalion in the Army. I think you’re right. Be safe. Spc. Chris Hammond: I appreciate and respect your modesty. But you are a story – and hence an example – waiting to be told. Thank you for your service to this country. I could go on, but these are the folks who stand out in my memory. 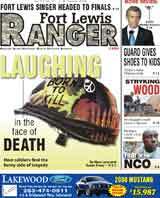 Fort Lewis, you have every right to be proud of these soldiers. They have worked incredible hard; they have faced and overcome engineering challenges that literally stagger the imagination. And they will all be home soon. 4th Brigade's top enlisted man, CSM John Troxell gave interviews yesterday. Click here to watch. Godfrey J. Hurley, a Fort Lewis soldiers was found guilty today of premeditated murder in the death of his wife. Click here for AP's report. Governor Gregoire signed a bill today that will relieve military personnel serving in active combat areas of interest and penalties on their delinquent excise tax payments. Rep. Jaime Herrera, lead sponsor of House Bill 3283, accompanied the governor at the bill-signing. Testifying in favor of House Bill 3283 during a committee hearing in Olympia last month was Lt. Col. John Perry from Battle Ground. 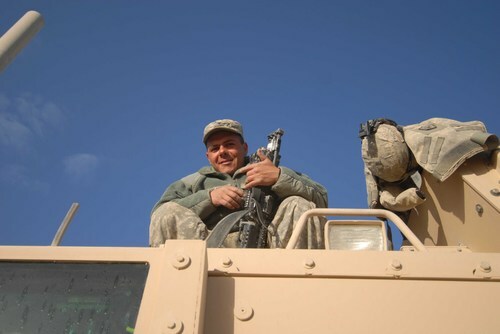 He is a small-business owner and a reservist called to active duty in 2004. Herrera also testified in favor of the bill. Under current law, the state waives interest and penalties on delinquent property taxes for military personnel stationed in active combat areas. House Bill 3283 extends the same protections for business excise tax. The state Department of Revenue currently charges interest on unpaid excise tax. It can also assess a 5 percent penalty on unpaid tax for tax returns filed late. This penalty can increase to 25 percent if taxes are unpaid for more than two months. The 2008 legislative session concluded March 13. (Clover Park School District Release) - FORT LEWIS-David Catts, a fifth grade crossing guard from Clover Park School District's Hillside Elementary on Fort Lewis, was selected by AAA Washington as the state patroller of the year. As the state winner, Catts will be honored at an awards ceremony in Washington, D.C. May 3-5, 2008. He will also be the guest of honor at a dinner and awards ceremony at the April 25 Mariners game against the Oakland Athletics. "Being a crossing guard gives me the chance to learn a lot of leadership skills," said Catts. "In the beginning of the year I was not one of those people who could take charge of a group and take care of them. After being a crossing guard for just a few days, I learned that it wasn't going to work-I had to speak up and tell someone if they were in danger." Catts was nominated for the award by Marie Lanham, Hillside paraeducator and crossing guard supervisor. "David is a natural born leader," said Lanham. "I have known him since kindergarten and have watched him excel academically and as a leader. He is always on his patrol post early and is prepared to serve-even on the coldest, rainiest days. I have never had to remind him to do his job; he always puts safety first." Each year AAA Washington selects 10 outstanding school safety patrollers from schools throughout the state to receive the honor of being inducted into the AAA School Safety Patrol Hall of Fame. The patroller who scores the highest is selected as state patroller of the year. "David is a gifted student and a creative thinker who is just now beginning to realize how he can improve himself, by his own efforts, in areas other than traditional subject matter-like leadership and community evolvement," said Don McPherson, Hillside principal. "He is a dutiful citizen and we are very proud of him at Hillside." at 2 p.m. on Able Field, located on North Fort. 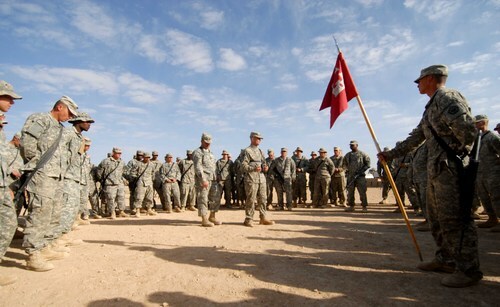 deployed in November 2005 and again in August 2006. Spc. Jose Hernandez rests for a second before heading out on a mission from FOB Kushamond. 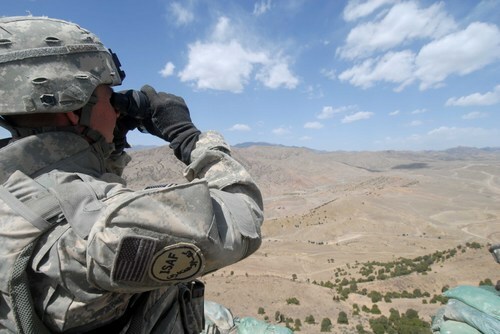 Lt. Col. Mark Deschenes, commander, 864th ECB (H) looks out across an enemy infiltration point on the border between Pakistan and Afghanistan. 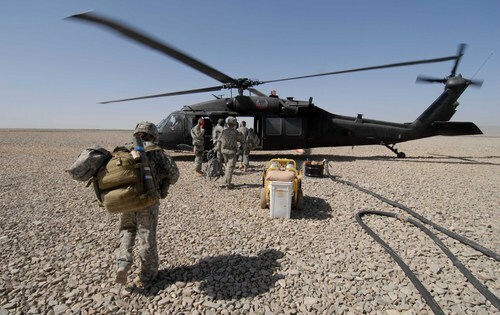 Soldiers from the 864th ECB (H) board a Blackhawk helicopter in order to fly to serveral remote Combat Outposts. Spc. 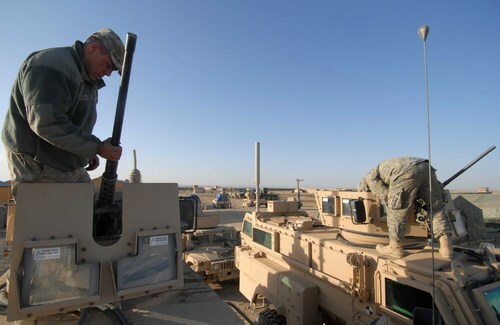 Jose Hernandez, Headquarters Support Company, 864th Engineer Combat Battalion (Heavy) sets the barrel of a .50 caliber machine gun prior to heading out on a mission from FOB Kushamond. Pfc. 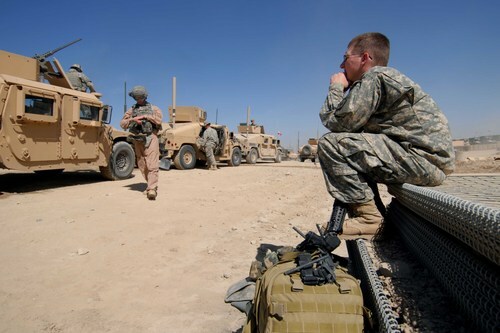 Alex Duncan, combat medic, Headquarters Support Company, 864th Engineer Combat Battalion (Heavy), collects his thoughts before heading out on a mission to check over a newly built bridge outside the town of Sharana. Spc. 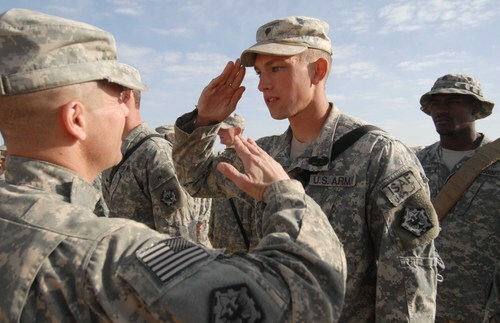 Joshua Mullins, A Company, salutes after receiving his Combat Action Badge from Lt. Col. Mark Deschenes, commander, 864th Engineer Combat Battalion (Heavy). SSgt. 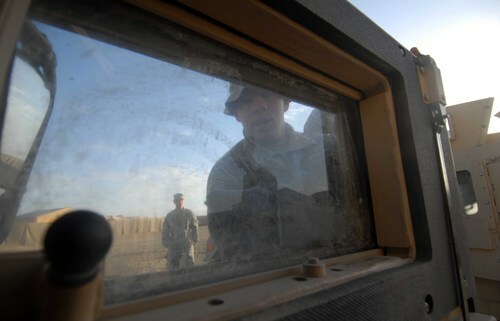 Adam McCroy cleans some of the moon dust off a door window on his Humvee. Before the engineers got to work at FOB Kushamond, the moon dust was three to four feet deep. Cpl. Jeremy Bacon stans with some children outside the town of Kayr Kot. Capt. Eric Parthemore, commander, Headquaters Support Company, 864th ECB (H) is all smiles after a long and dusty ride from FOB Sharana to FOB Kushamond.